First and foremost, YAY for the sale! The Nordstrom Anniversary Sale is officially open to the public today and I can't wait to hear about everything you guys buy! And I'm definitely guilty of shopping the #nsale (as they call it in the social medial world) over and over again even though my big splurge day was last weekend. I always end up finding more things I "need." Perhaps I just need to stop looking! At any rate - get your shop on because prices go up August 4th and please report back with all your goodies!! 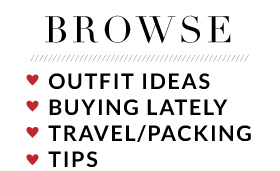 Second, if you had your heart set on an outfit post, you're in luck! I'm guest posting over at The Mummy Chronicles, so please visit me there! I was so flattered when Vicky asked me to write for her - hope you enjoy it! OK, so, surprise surprise, as you guys read this, I will be out of town. Again. But I really shouldn't complain because it's for a very fun occasion! It's my sister's baby shower this weekend, and I've been trying to help with the planning as much as I can from afar. Part of my duties was taking care of the invitations. I didn't necessarily plan on making them by hand, but time kind of slipped away from us, so I didn't have time to order them. I ended up making 50 total, at about 5 minutes per invitation. Just as with my outfits, I had some Pinspiration. So, even though she's having a boy, I decided to use Cinderella, and I picked my excerpts from Cinderella with my sister in mind as Cinderella herself - thinking about her getting showered as we celebrate our future family addition! 1. 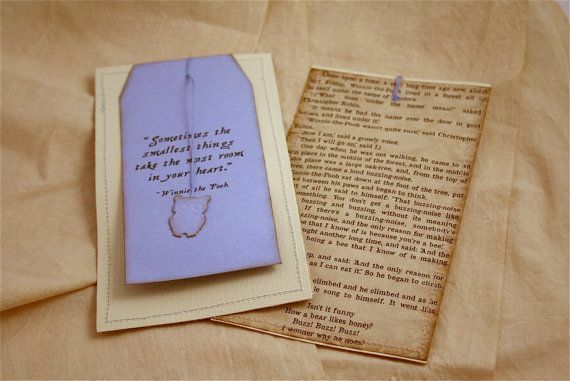 All layers were printed on letter sized cardstock/vellum, 4 to a page. 2. I found a template for the owl "tags" and was able to print all 50 of them on one sheet of blue card stock. 3. I cut one sheet of the vellum layer and one sheet of the beige layer at the same time with the paper cutter because I wanted these to be as much of the same size as possible. 4. I used the hole punch to cut holes in the top corners and used brads to hold these two layers together. The finished 'head' of the brads faces out towards the vellum side. 5. I then used the paper slicer to cut the blue layer, making sure it was cut a little smaller, however, I still wanted it big enough to cover all the text on the beige layer below. I chamfered the top corners of the blue layer at about 45-degrees, also using the paper slicer. 6. I placed the blue layer on top of the other two layers, and used the hole punch to punch through all 3 layers. I also punched a hole at the top of the owl tag. 7. 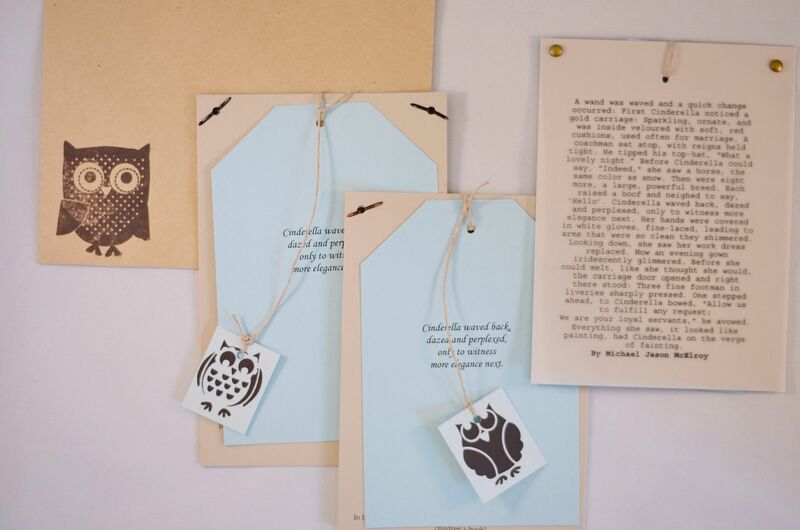 I used twine in the holes I just made to tie all 3 layers together, as well as the hanging owl tag. I eyeballed about 6-8" of twine to work with for each invite, and then just trimmed any excess after everything was tied together. 8. I stamped the front left hand corner of each envelope with the owl stamp and ink pad and set aside to dry before addressing. Not bad for my first time. I mean, yes, I do have a degree in Architecture, but that doesn't automatically make me good at arts and crafts! Ha! I was happy with how they turned out. Definitely not as cute or vintagey as the original, but still very fun and fitting with her tea party/ owl/ book themed shower. My sister seemed to be pleased with them, too, so that's definitely what matters most! More on the shower next week, and more importantly, what I wore! Before I go - in case you missed it, I'm co-hosting my very first giveaway with a group of pretty great bloggeres! Check out the details and enter to win here! Linking up for: Friday's Fab Favorites, Casual Friday, Weekend Wind-down, Ada and Maria. Happy Friday! I loved the text convo with your sis and I would have DIED if you had made baby shower inspirations inspired by Are You There God it's Me, Margaret? HAHAHA. Then act innocent when you see her- "What? You said you liked this book as a child!" Anyway, I'm very impressed with your invitation crafting skills and how did I not know you have a degree in architecture?! Whoa! Math genius, architecture degree...what else is up smarty sleeves? 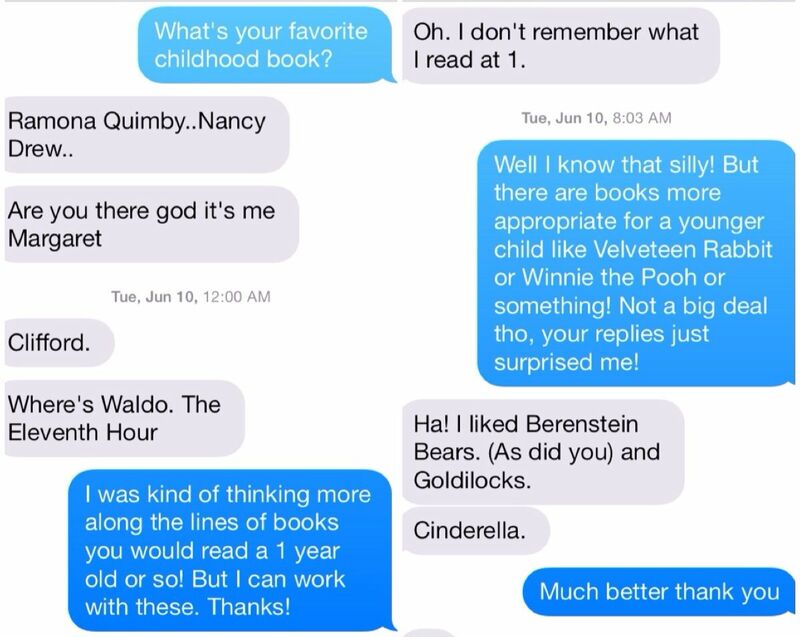 Ok...now I'm picturing the Judy Blume excerpts too ...dying laughing! Oh you gals make me smile!! Glad you can see the humor in my sister's replies! And yep - you're welcome for the Carylee trivia! You're just so crafty! Love how it turned out! Happy weekend! Thanks, lady! I did my best! Hope you had a great weekend also! 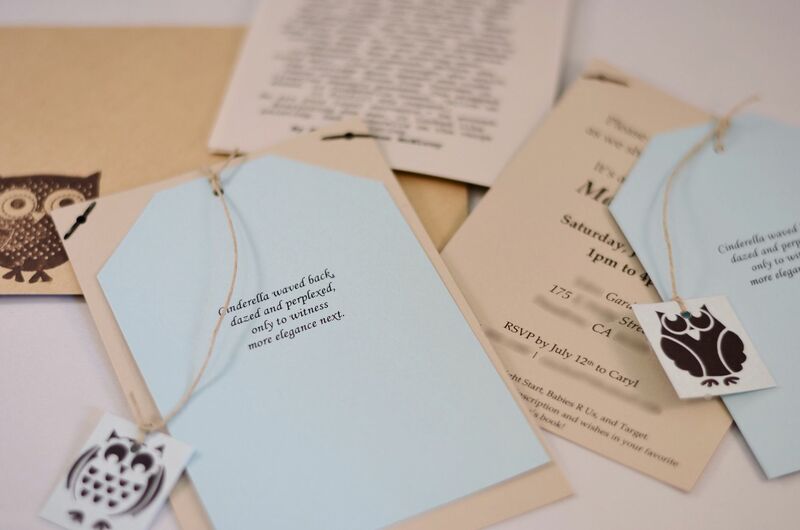 Your invitations are adorable! Love how they turned out! Have a wonderful weekend! Thanks so much for reading! Hope you had a great one as well! I had no idea you were so crafty! Those invites are so pretty! Have a great weekend! I suppose I can be crafty if I realllllly wanted! Those are beautiful and came out great! 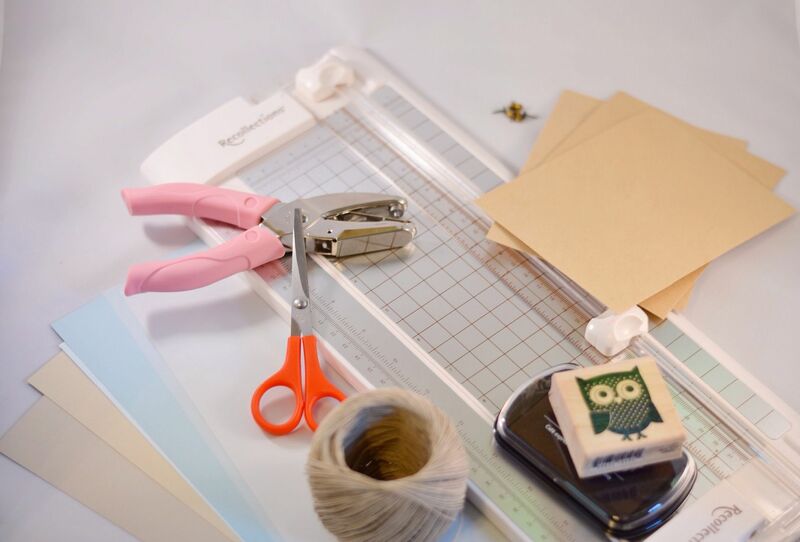 Love your crafty side. What a fun, meaningful project! I have always loved the idea of a children's book-themed baby shower, where everyone gave a signed book to the baby instead of a card. This would be another great idea! Thanks for the inspiration! I'm pinning this to my party board. Thanks for linking up to this week's Weekend Wind-Down party! Thanks for hosting, and glad you enjoyed this! It was fun to put together and I was pleased with how they turned out! Love this idea, looks so amazing. What a beautiful shower! 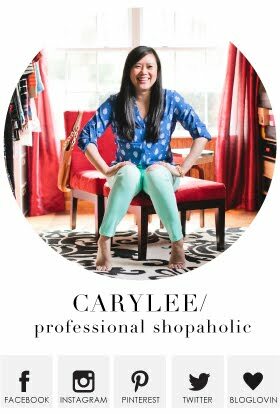 I love your hairstyle, Carylee! You look pretty in that dress.